Whilst clearly serving under the name "Tom Clarence" - as shown by the Medal Index Card - both the 1901 Census (RG 13/3269) and the 1911 Census (RG 14/21242) names him as "Clarence Tom". He was born in the June quarter 1892, the youngest son of William (Joiner) and Lavinia Wilson of Fairfield, Buxton. In 1901 the family was living at Chester Villa, Fairfield, but had moved to 28 Dale Road, Buxton, in 1911, with Tom/Clarence working as a "General Labourer". That Census shows that Tom had an older brother, William, and three older sisters, Gertrude Lavinia, Ethel and Jessie. However, it also shows that his parents, both aged 58 in 1911, had been born in Sheen, Staffordshire, and married for 37 years. They had had a total of 14 children, eight of which had survived. The 1881 Census (RG 11/3455) shows their three oldest children were Bertha, Henrietta and John, but 10 years later (1901 Census RG 12/2778) Gertrude Lavinia, William E., Ward M., Ethel and Jessie had been added. Clarence was, therefore the youngest. In May 1918 Tom's mother, Lavinia, received the sum total of his 'effects', amounting to £4 4s 4d [£4.42] with a further £6 10s [£6.50] "War Gratuity" in October 1919. (This combined total of £10.92 has an equivalent value of about £295 today - 2016.) By this time she was Tom's ".. sole legatee" as her husband, William died in the June quarter 1916. Tom's Service Papers have not survived the Second World War bombing. It is known that he enlisted at Newton Heath, Lancashire. (SDGW database), and his Medal Index Card indicates that he entered the War after 1915, as he was not eligible for the 1915 Star Medal. 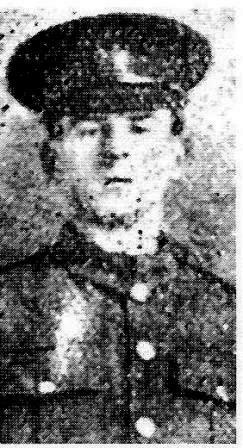 From his Service Number it appears that Tom enlisted on the 12th December 1915. Territorial Battalions of the Manchester Regiment, soldiers had always been issued with four figure service numbers which were unique only within the regiment. As the army expanded it was decided to renumber the terriers with six figure service numbers, these would still be regimental but gave a much wider range. Under The Army Council Instruction (ACI) 2414 of 1916, published on 23 December 1916, the 8th Battalion, Manchester Regiment, were allocated the numbers 300001 to 350000, effective from the 1st January 1917. This would have been the date from which Tom's number changed from its original 5357. The 1/8th was a Territorial Force Battalion and in August 1914 were based Burlington Street, Manchester as part of Manchester Brigade, East Lancashire Division. In company with the 1/5th on 25th September 1914 they landed at Alexandria, Egypt. On the 6th May 1915 the Battalion landed on Gallipoli. On the 2nd March 1917 the Battalion returned from Egypt and landed at Marseilles and proceeded to the Western Front. Tom was not with the Battalion during its time in The Dardanelles. The Division entered the line at Epehy, as part of III Corps in Fourth Army. They stayed in this area, soon moving to Havrincourt where they remained until the 8th July 1917. Whilst in the line at Havrincourt Wood from the 20th May to the 3rd June the 1/8th Battalion had 12 killed and 24 men wounded. It is possible that Tom was one of these wounded and after some treatment, was posted back home to recover. Obviously, as Tom died of wounds at home in Buxton, or in a UK based Hospital, a month or so later, it is not possible to determine where and when he received the injuries from which he finally succumbed. The Battalion had just 23 men killed or died of wounds in the period between its arrival back in France and the date of Tom's death at home. He was buried in Buxton Cemetery, with full military honours, on the 20th August. 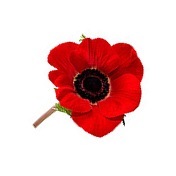 · I am grateful to 'Mack' of The Manchester Regiment Group Forum for the information about the Service Numbers.